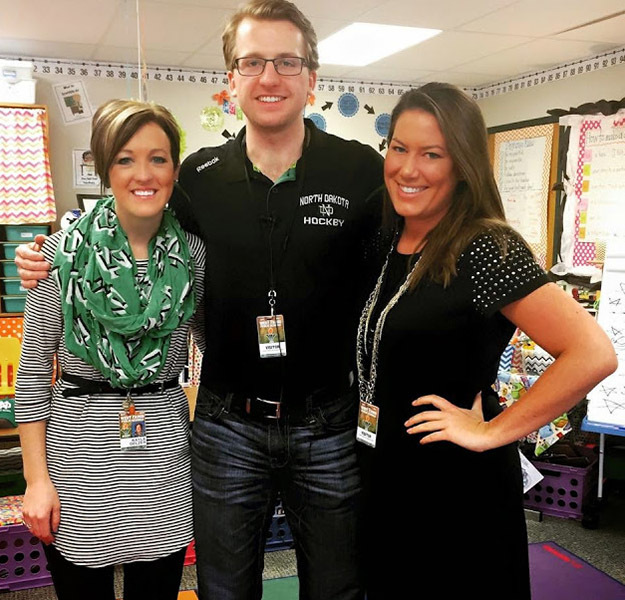 Kayla Delzer, in her Mapleton, N.D. third-grade classroom, graduated from UND with a double major in elementary education and early childhood education in 2008. 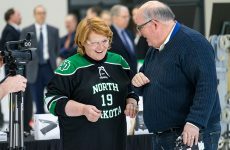 She also earned her master’s degree in elementary education from UND in 2014. Photo produced and featured in New York Times, Sept. 2 edition. 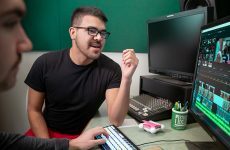 UND College of Education & Human Development alumna Kayla Delzer, a third grade teacher and technology champion from Mapleton, N.D., was recently featured in The New York Times for her innovative practices in the classroom and will be on campus Tuesday, Sept. 12, for a public talk on variety of teaching and learning topics. In addition to her work in the classroom, Delzer is a columnist for “Edsurge,” and a blog for another education-based publication called “Edtopia,” where she writes about a variety of edtech and design issues. Delzer has 10 years of teaching experience. She graduated from UND with a double major in elementary education and early childhood education in 2008. She also earned her master’s degree in elementary education from UND in 2014. As a UND alum, Delzer optimizes the spirit of what it means to be a Leader in Action as her work with classroom redesign and flexible seating has become standard worldwide. Delzer’s avant garde approach to teaching and learning is well regarded throughout the region and nation. 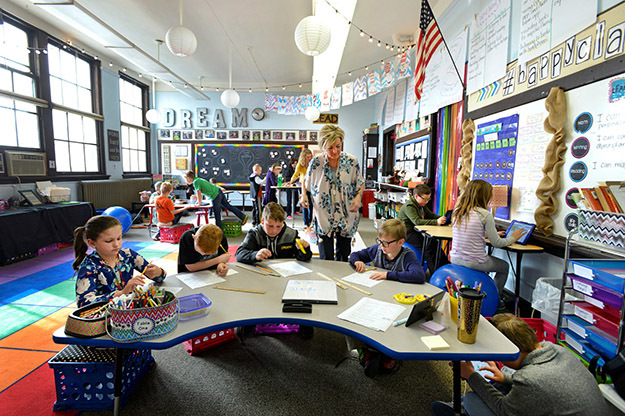 Educators flock to her classroom in Mapleton to see her innovative setup and to witness how she conducts the business of teaching. A recent New York Times feature article (Sept. 2) profiles Delzer and her “flexible classroom,” in which students sit where they want and learn to be active users of social media, such as Instagram. The article, written by Times’ technology reporter, Natasha Singer, reports that teachers such as Delzer are highly sought by edtech companies to improve upon and promote their software and other products. Delzer is slated to speak from 7-8 p.m. in the UND Education Building, Room 113, on Sept. 12. Free food will be provided and everyone is welcome to attend. For more information about Delzer and her teaching philosophies, go to TopDogTeaching.com. 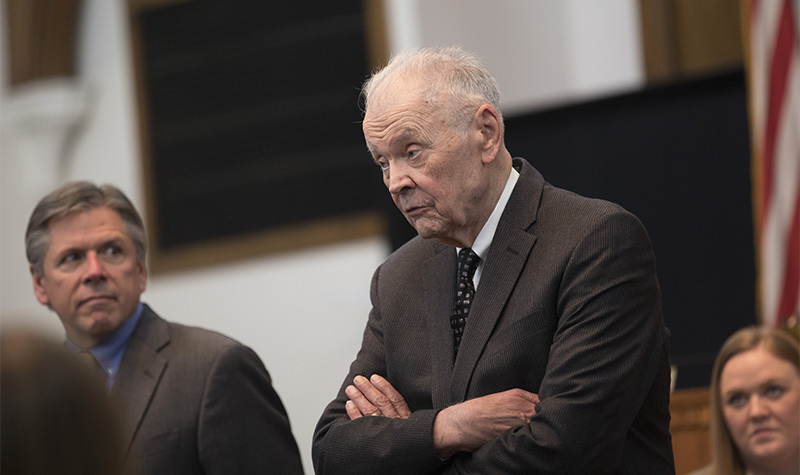 For more information about Delzer’s visit to UND, contact Megan Welch at megan.s.welch@und.edu or Patrick Bugliosi at patrick.bugliosi@und.edu.